Cliff Barackman was born and raised in Long Beach, California. Throughout his youth, his interests were drawn towards both the physical and biological sciences, as well as music. While Cliff was navigating his life, a growing interest in the Bigfoot phenomena drove him to travel to other parts of the country to look into the mystery. It was in college that Cliff’s interest in Bigfoot moved from a quirky interest to an obsession. Having a sizable break between classes, Cliff started spending time in the college library reading books on his various interests. After researching Bigfoot, he realized that not only was Bigfoot interesting, but it might actually be a real, biological creature. Cliff had been an avid camper all his life, but around this time he started camping with the singular purpose of doing Bigfoot research. On his first expedition to Bluff Creek, California in 1994, he stumbled across possible Bigfoot footprints, as well as tree damage evidence and a possible hair sample. Cliff’s interest in physical evidence led him to take a keen interest in footprint casts. Over the years, what started out as the gathering of a few Bigfoot souvenirs has eventually led him to holding one of the largest cast collections in America. A former member of the Bigfoot Field Researchers Organisation (BFRO), Cliff’s expert opinion, level-headed approach and analytical mind are essential. When numbers need to be extracted for the sake of data analysis, or when a footprint needs to be permanently recorded, he is there to offer his unique skills. 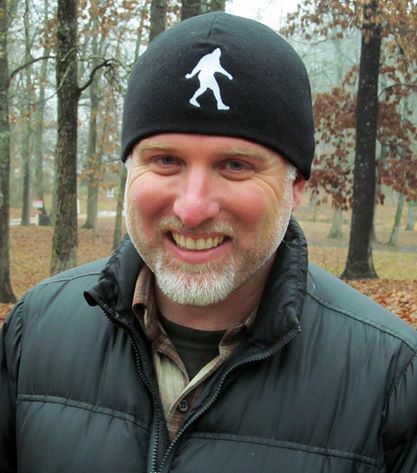 Cliff augments the credibility of Finding Bigfoot with his passion for data collection, and his ability to explain complex ideas in simple fashion.